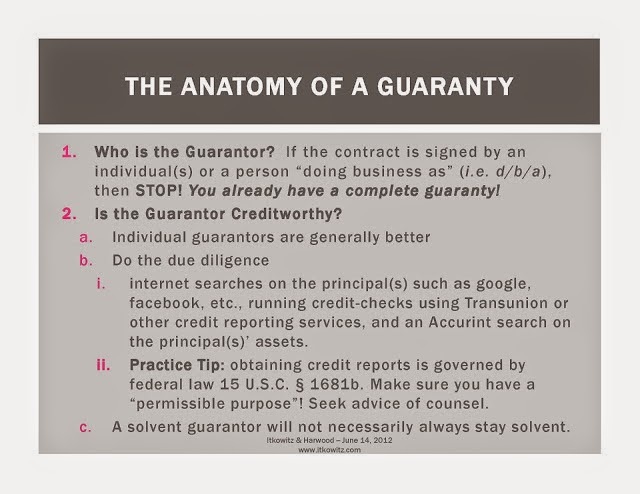 On May 1, 2012, Jay Itkowitz taught a continuing legal education class to 180 people for Lawline.com, entitled, "Guaranties, Good Guy Guaranties and How to Use Them In Lease Negotiations and Litigation". 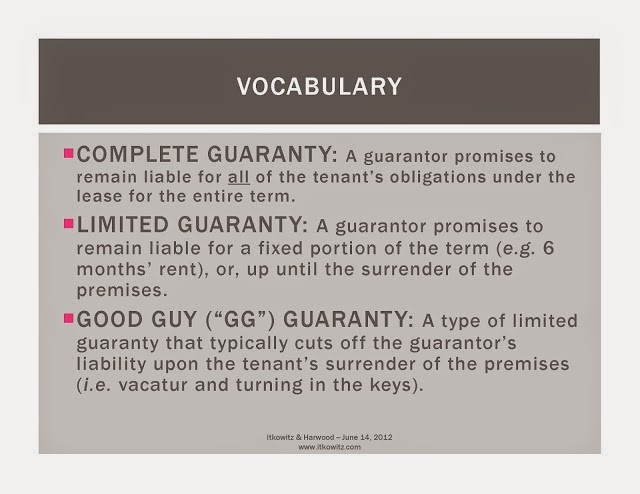 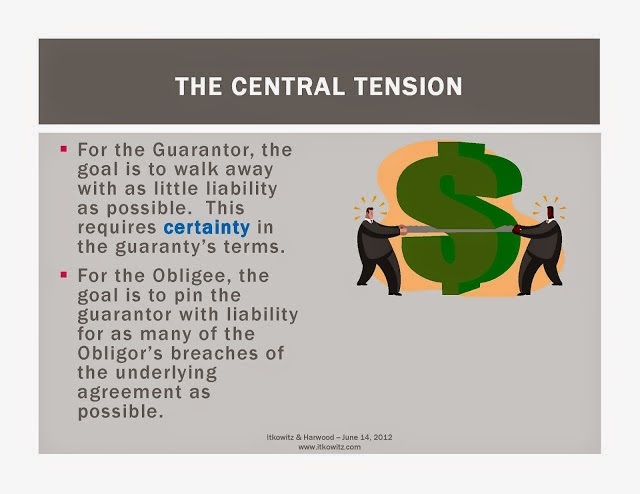 In this presentation, Jay examined the evolution of the "Good Guy Guaranty" as it is used in commercial leasing. 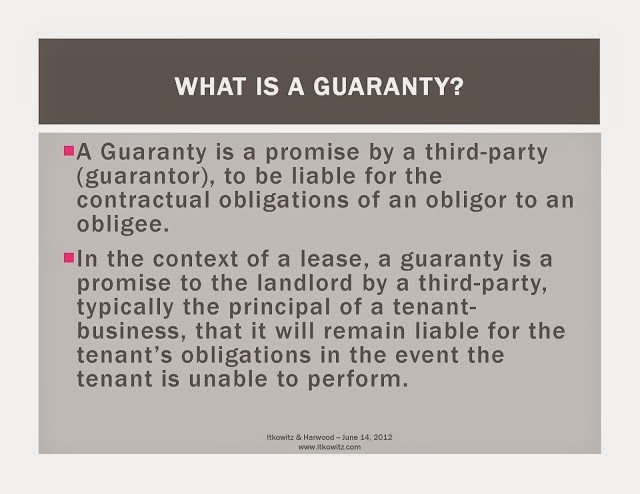 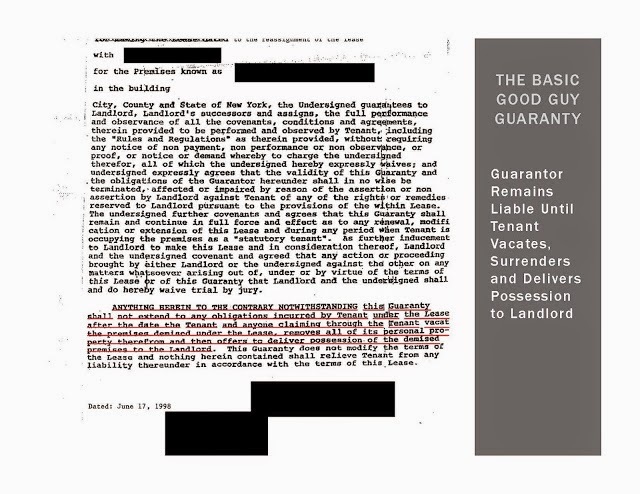 The course discussed how landlords can use the guaranty as a formidable bargaining chip during lease negotiations, how tenants must tread carefully when attempting to surrender the leased premises, and the snags and pitfalls that can complicate matters for counsel when a dispute leads to litigation and, eventually, enforcement of a judgment. 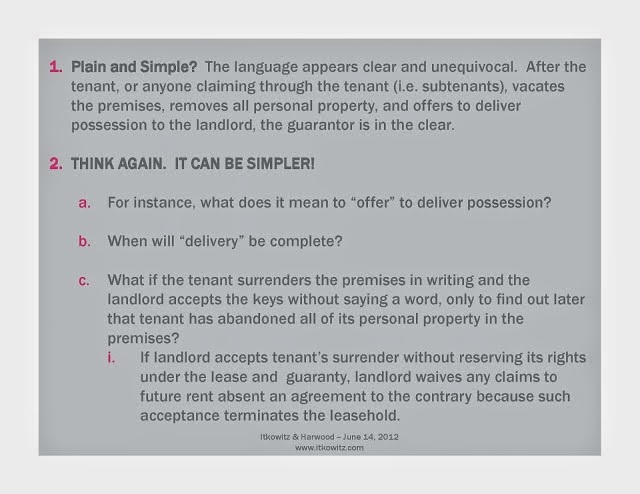 This live program was taped for later viewing and will provide students with 2.5 CLE credits. 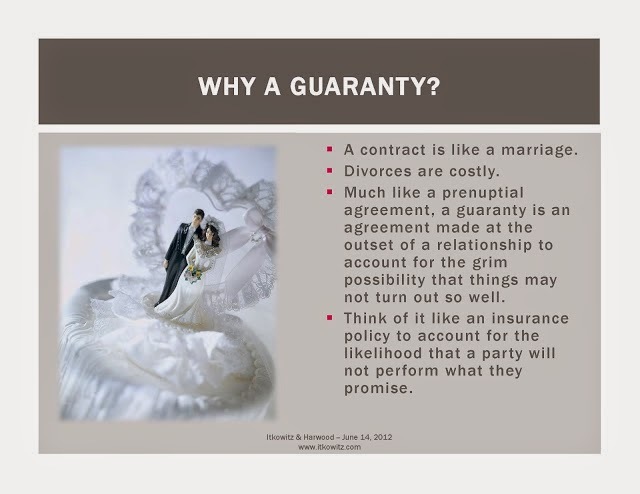 Contact us for a link that will allow you to view the program and obtain the CLE Credit for free. 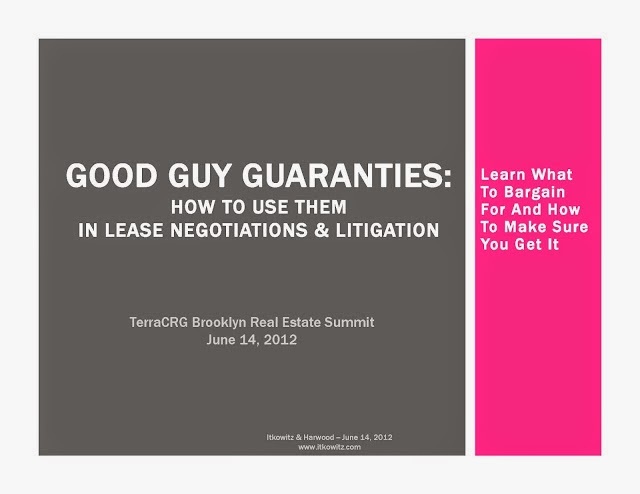 For more exciting slides contact Michelle at mmaratto@itkowitz.com.